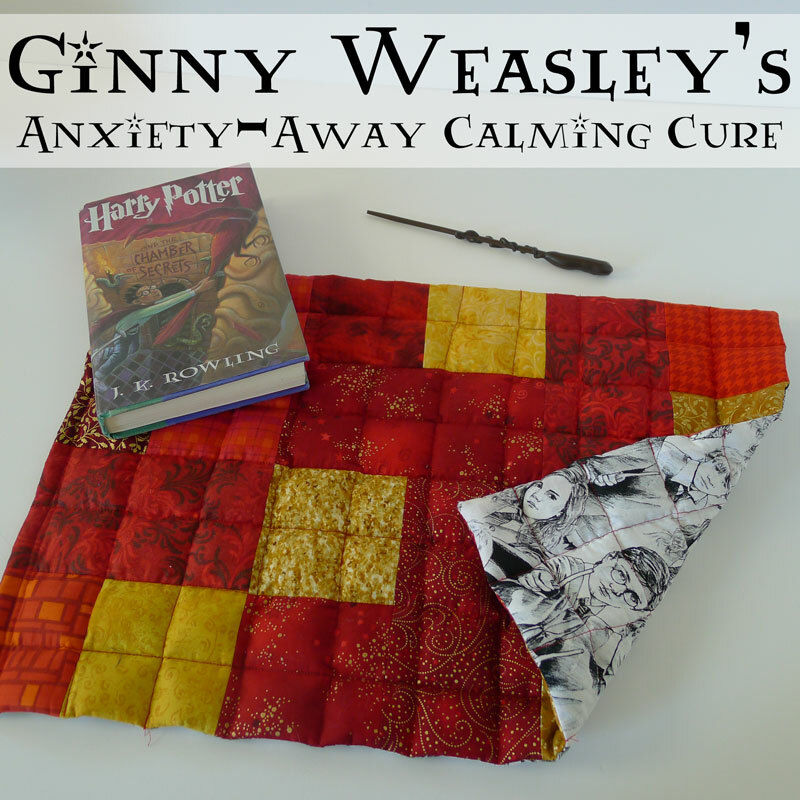 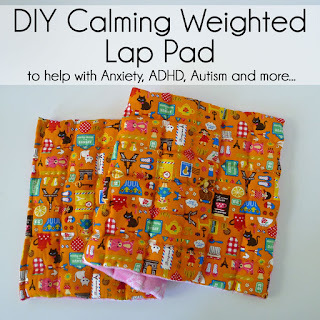 Weighted pads and blankets (and vests and other weighted products) are often used to help calm individuals with anxiety, ADHD, autism, and other conditions, and they're surprisingly easy to make yourself. (And thanks to Fairfield for providing me with product, compensating me for this post, and helping me pass my geek-loves onto my kids. 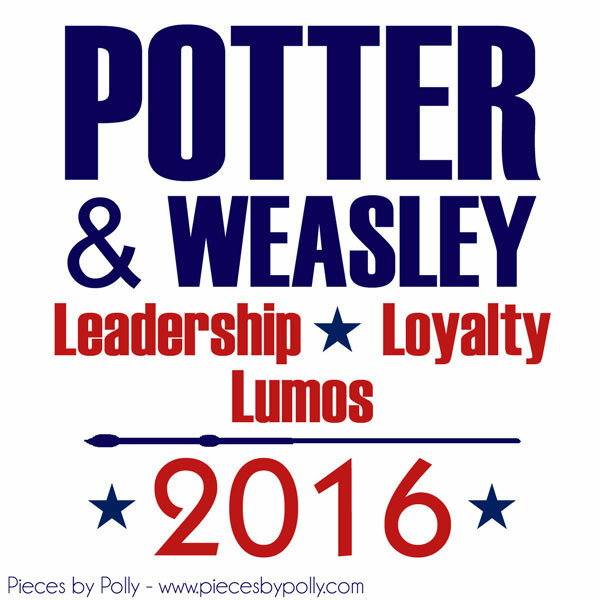 All ideas are 100% mine. This post contains affiliate links.) 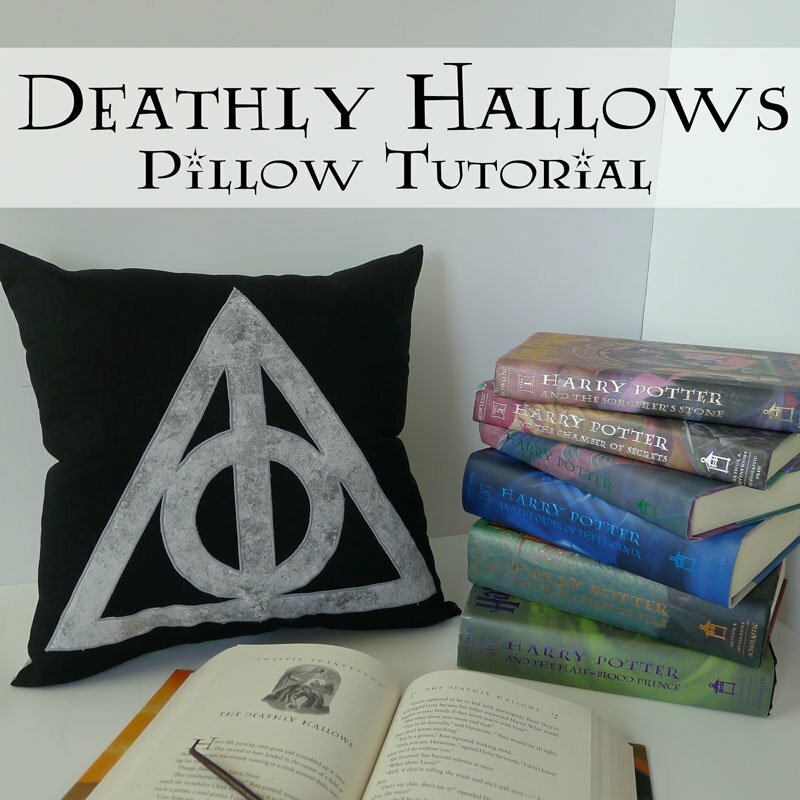 So since it's Happy Harry Potter week over at Rae Gun Ramblings, I thought we'd make a Harry Potter version of a weighted lap pad. 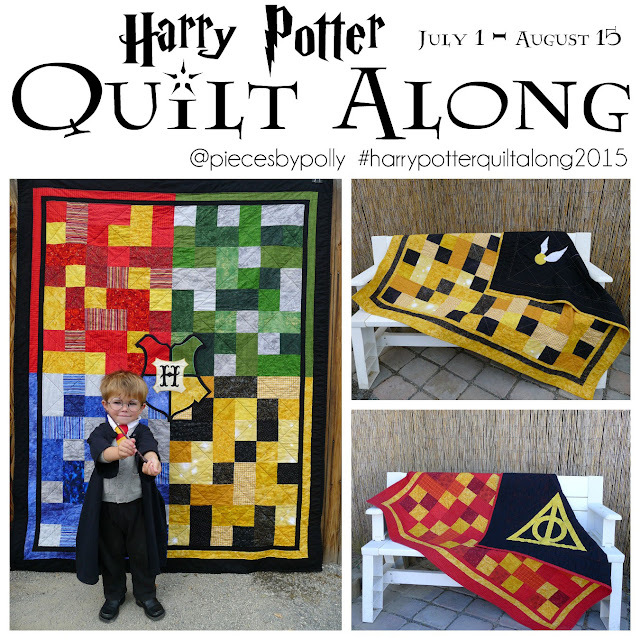 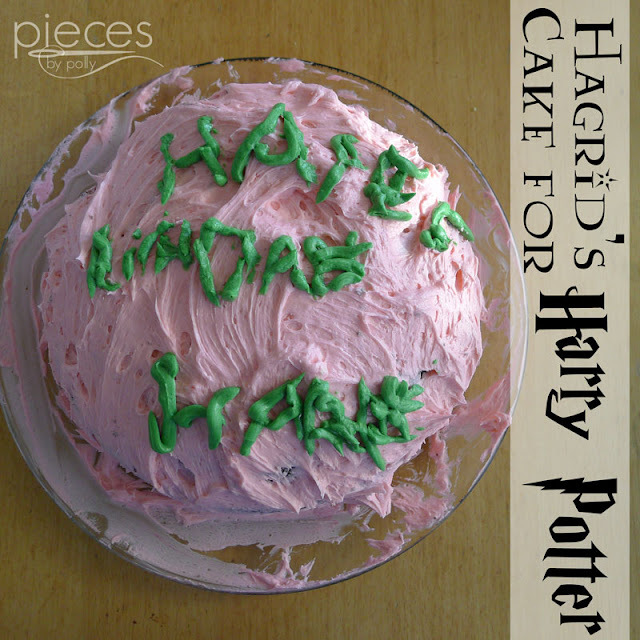 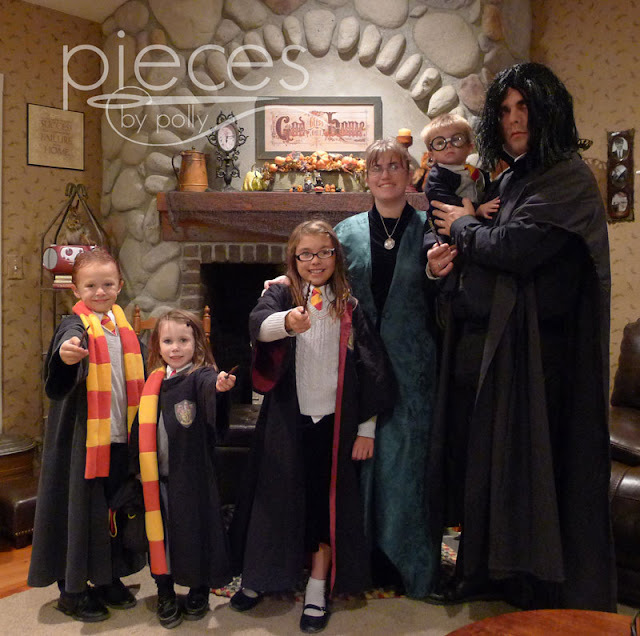 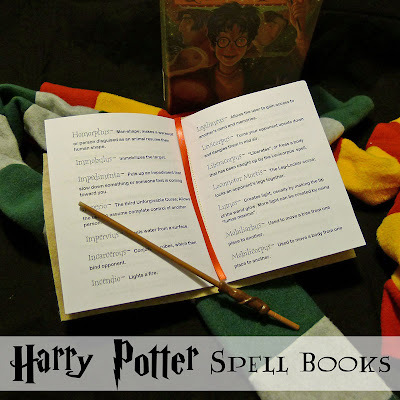 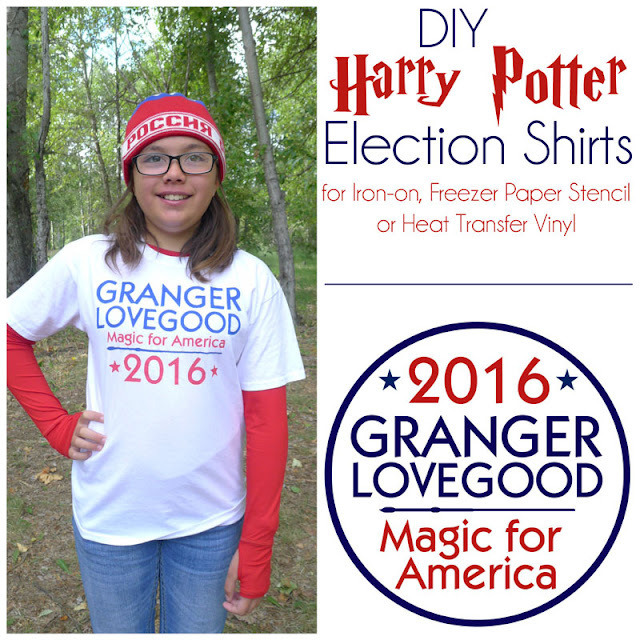 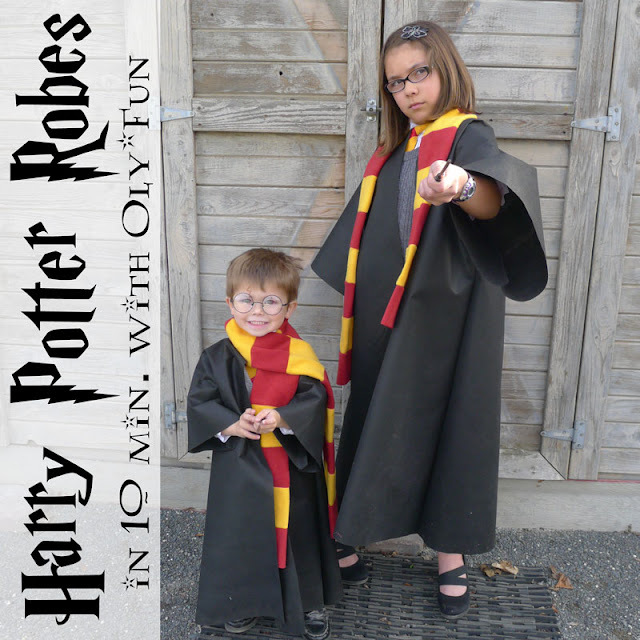 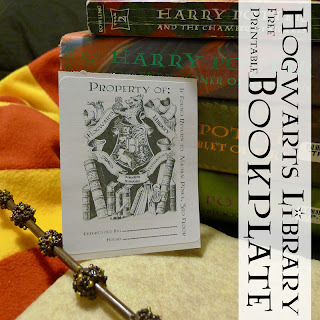 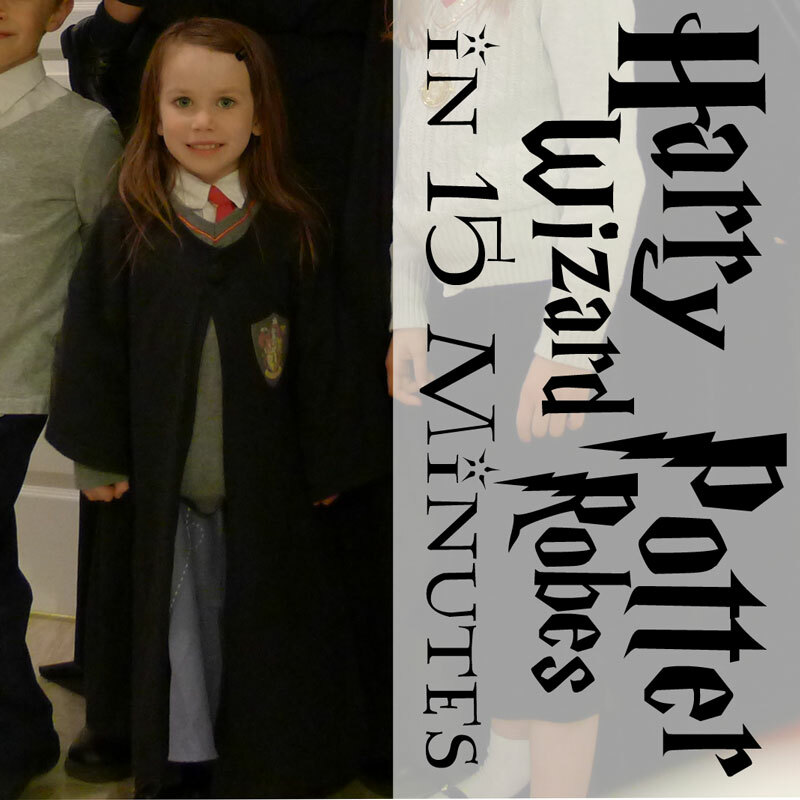 It has been so fun to see my younger daughter fall in love with the Harry Potter series this last year. 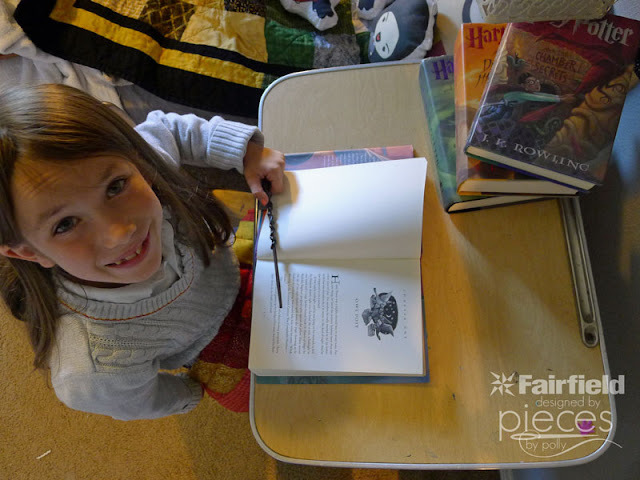 As a first grader she made it through the first three books and she would be reading Goblet of Fire...except she keeps rereading Prizoner of Azkaban. She's been working hard and is already doing so much better, but we're always looking for little ways to help lessen Rebecca's anxiety, so she can find her voice. 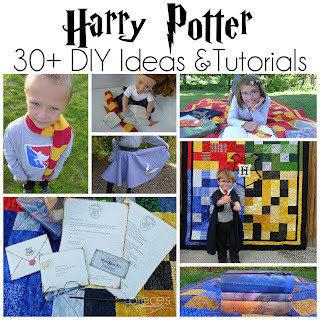 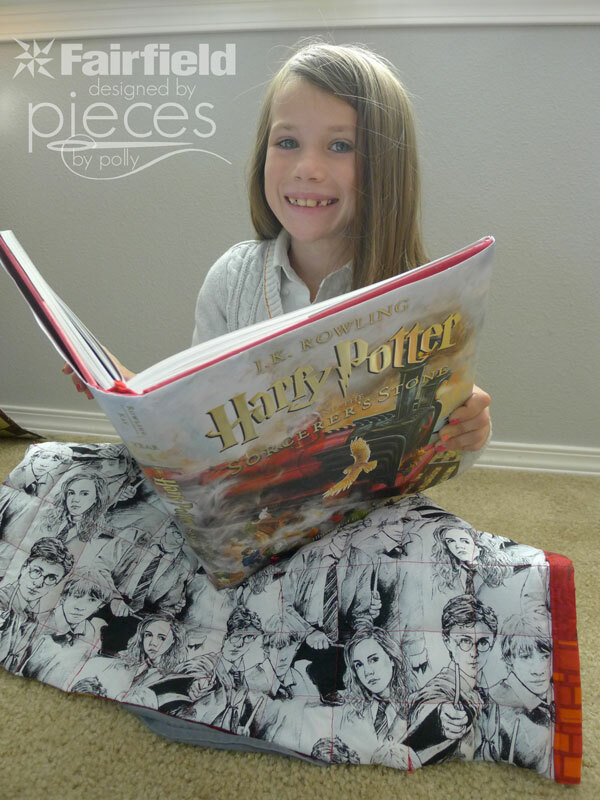 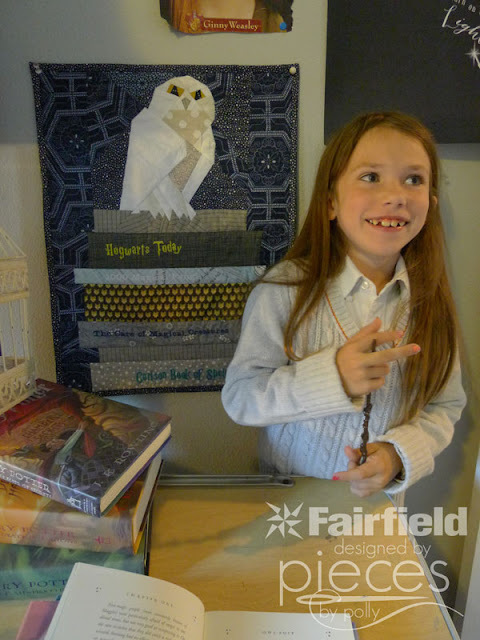 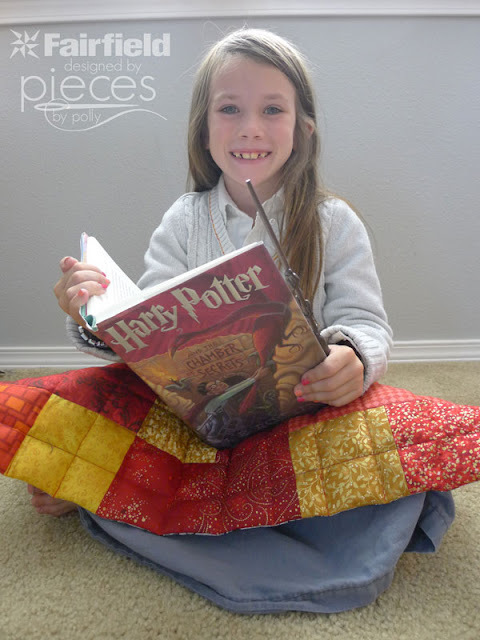 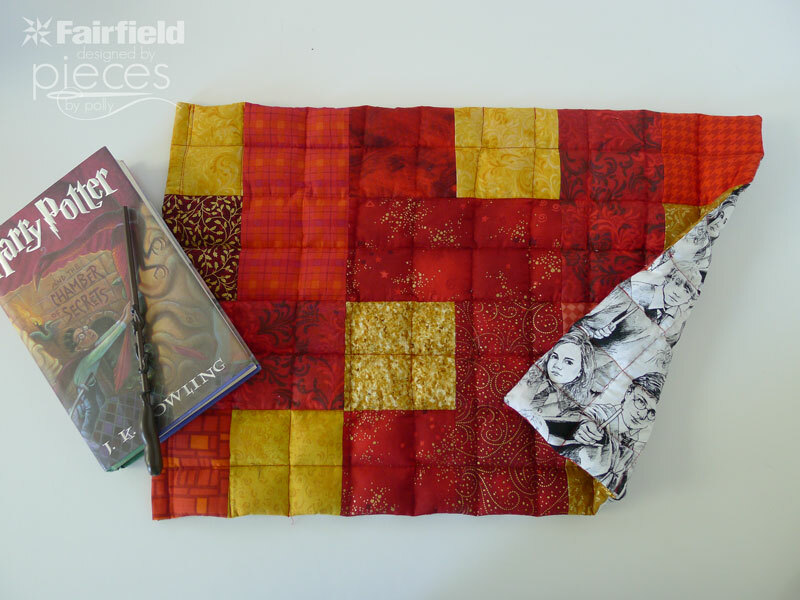 We decided to try making some weighted lap pads that she can take to school to help calm her nerves while she's doing her school work...and what better theme to use than Harry Potter?!? 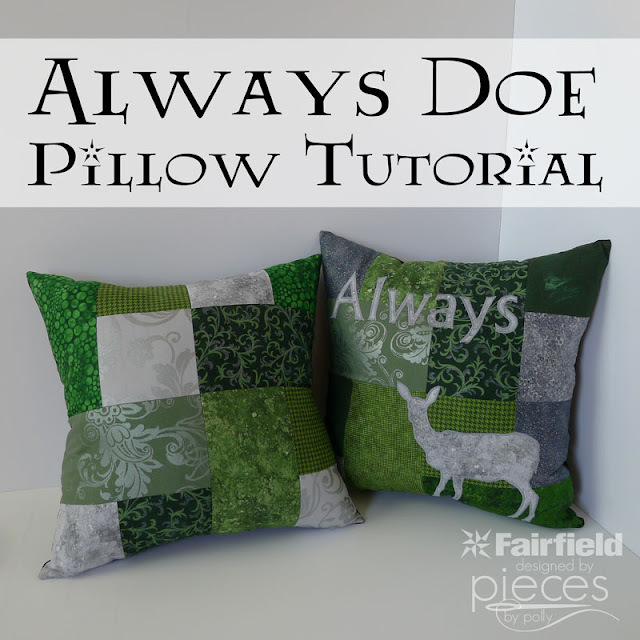 All it takes to make one some fabrics scraps and a bag of poly-pellets (and maybe a few extra sewing machine needles in case your needle happens to hit one of those pellets. 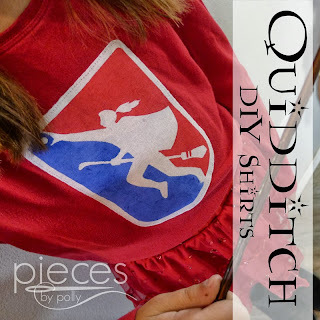 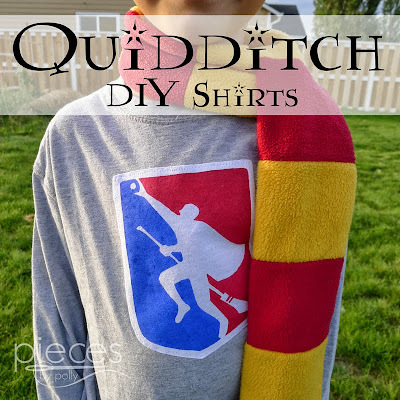 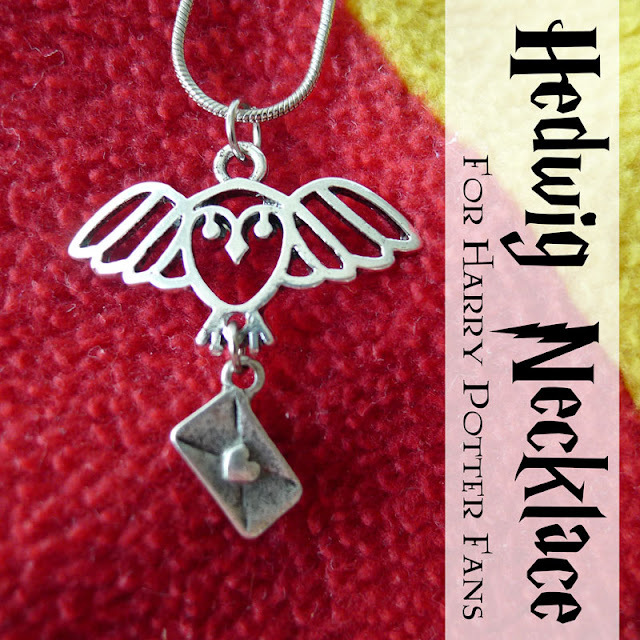 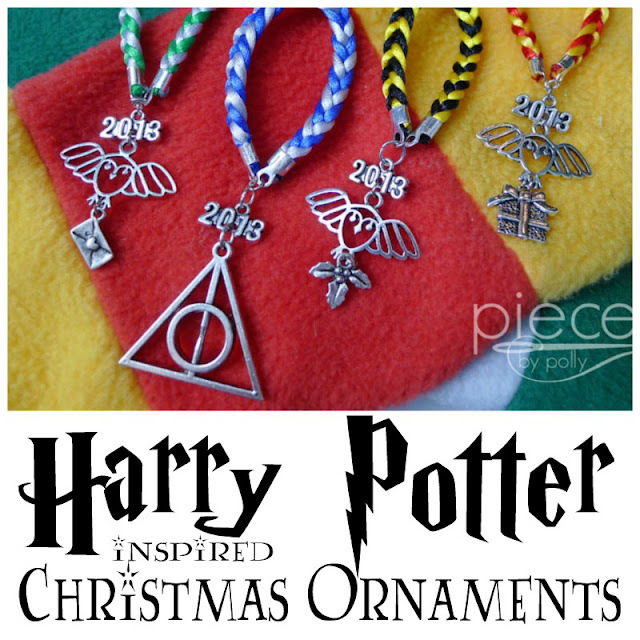 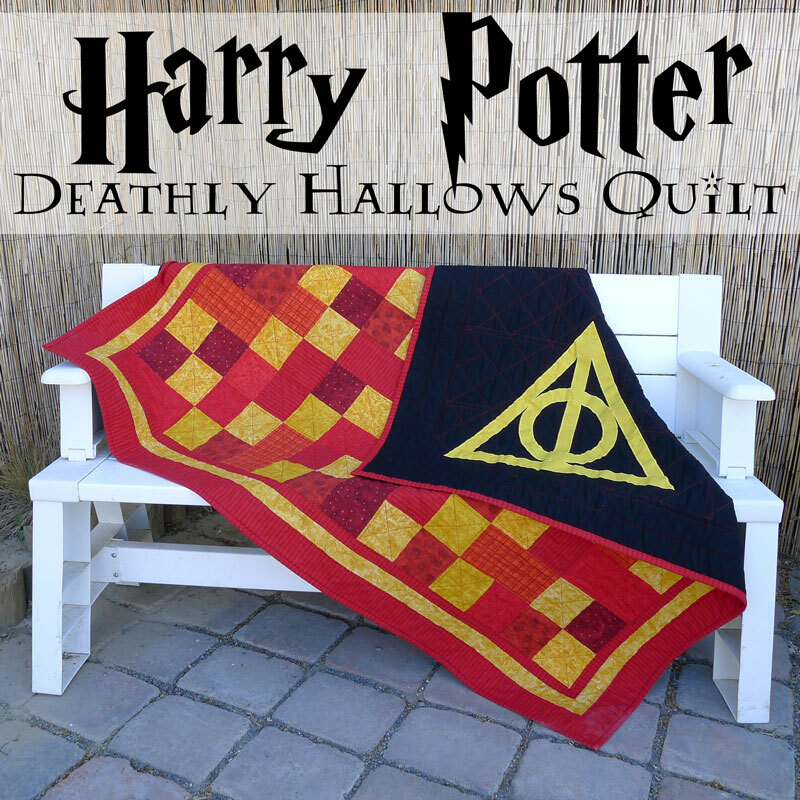 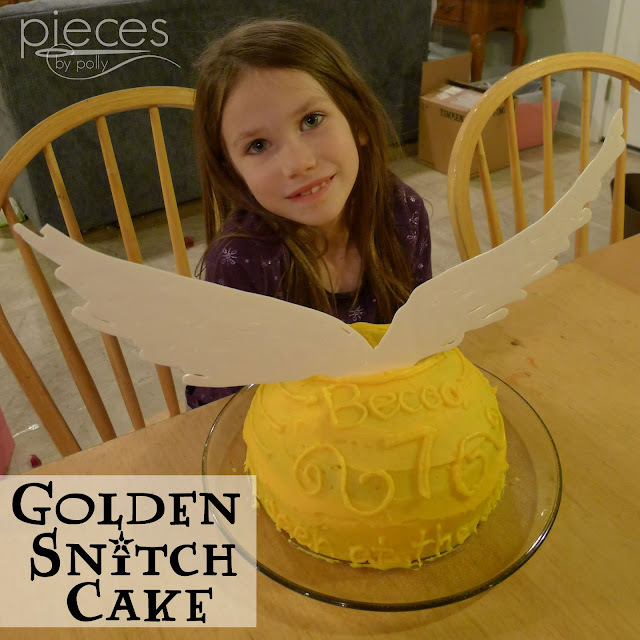 We're thinking Ginny would have wanted one in Gryffindor Red and Gold...and she probably would have loved if Harry's face were on the back of it. 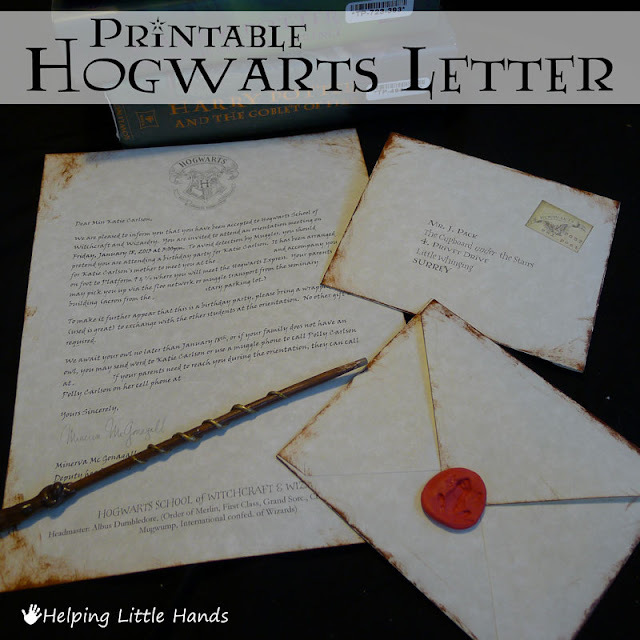 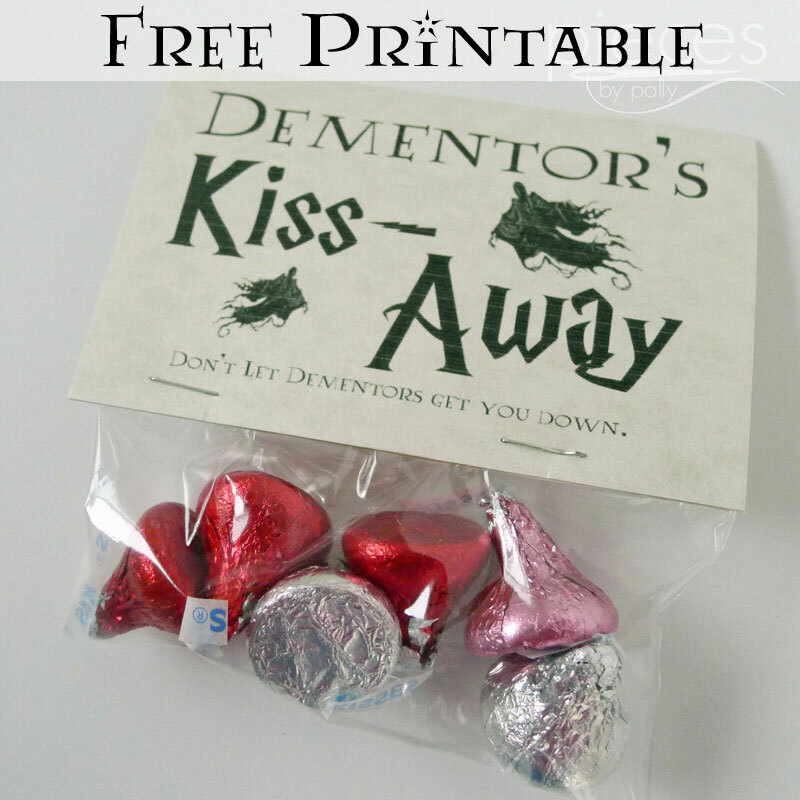 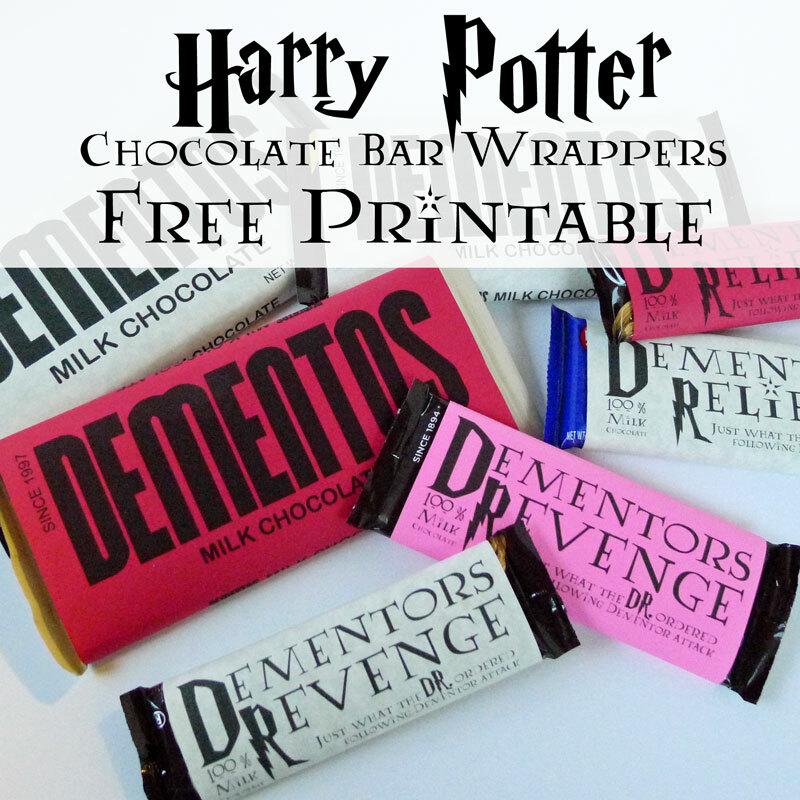 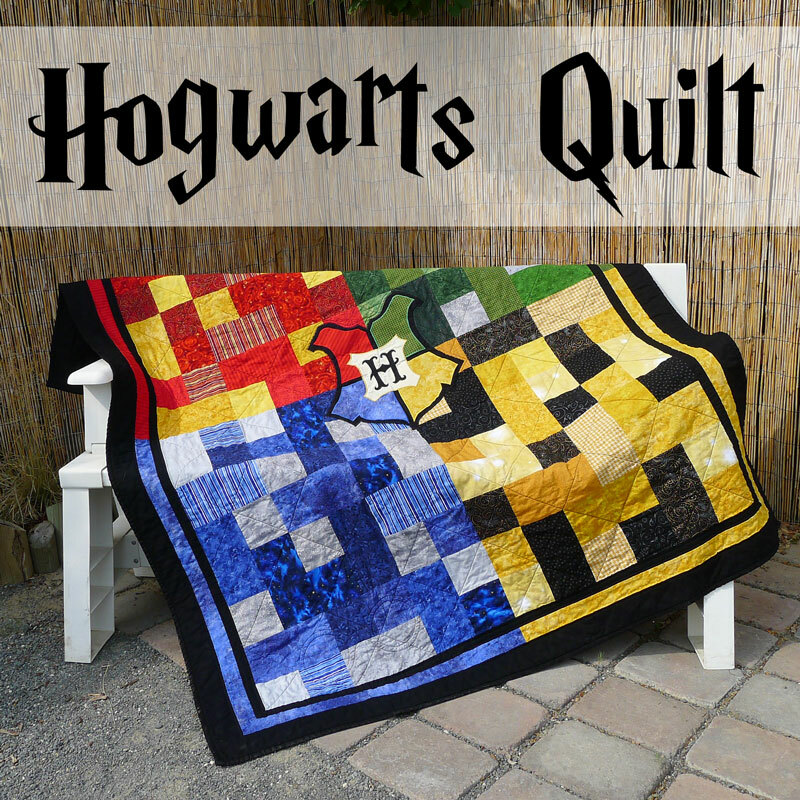 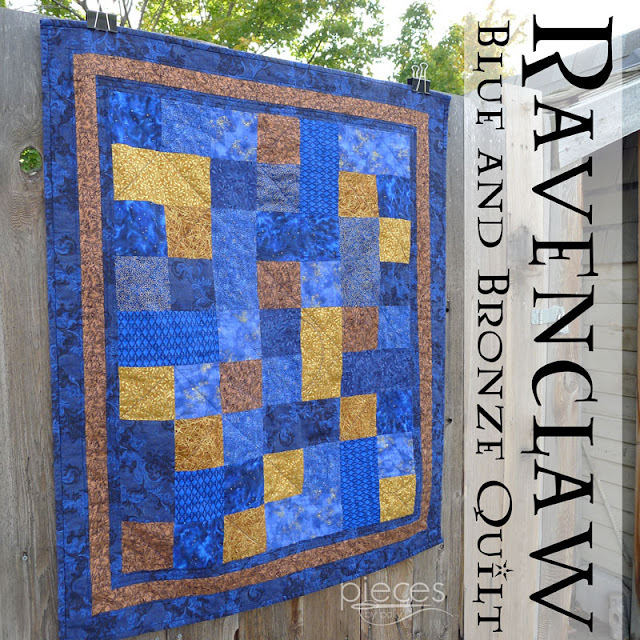 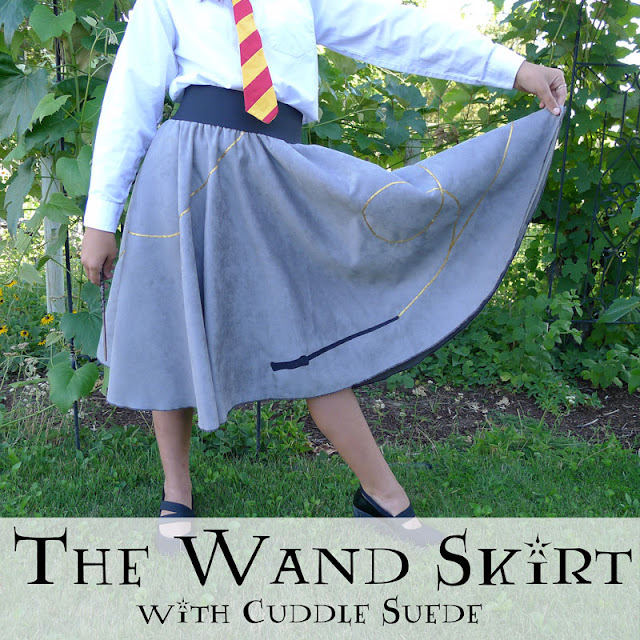 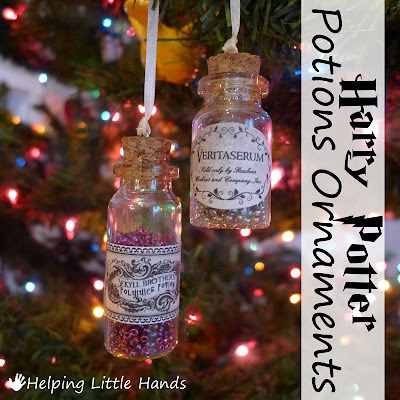 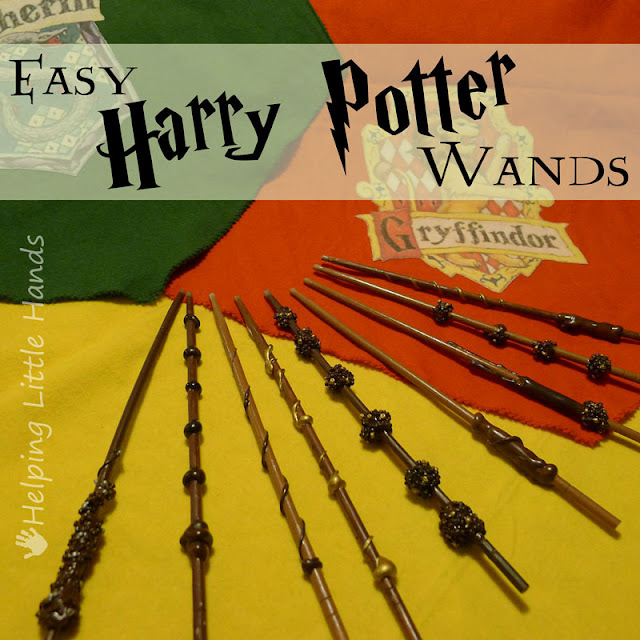 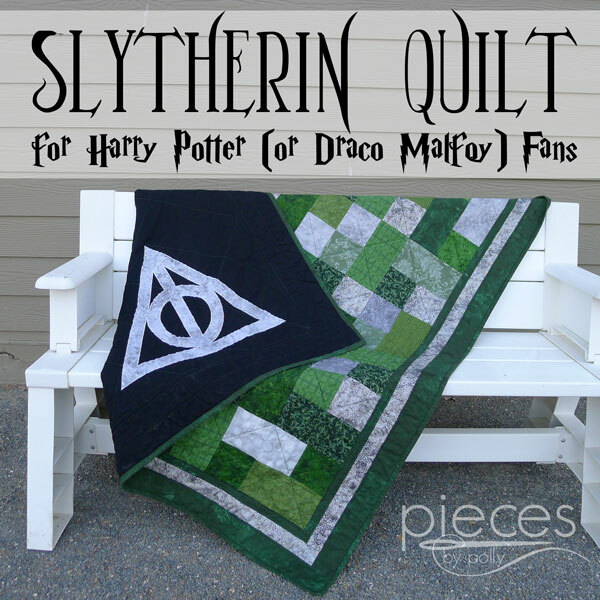 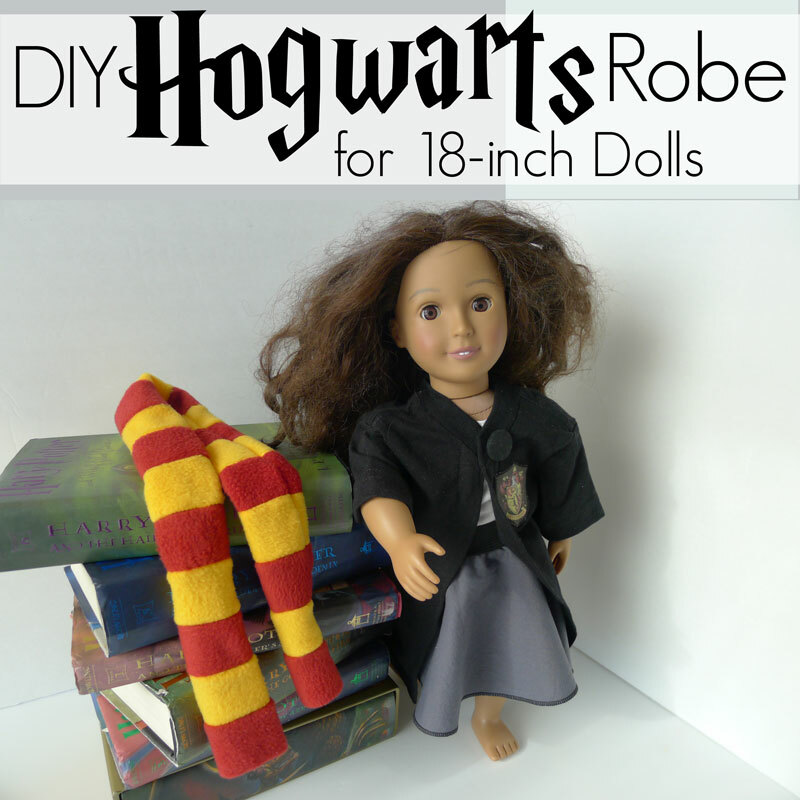 We're pretty sure Mrs. Weasley must have made one of these for Ginny...except maybe on hers the characters got to move like in the wizarding photographs. 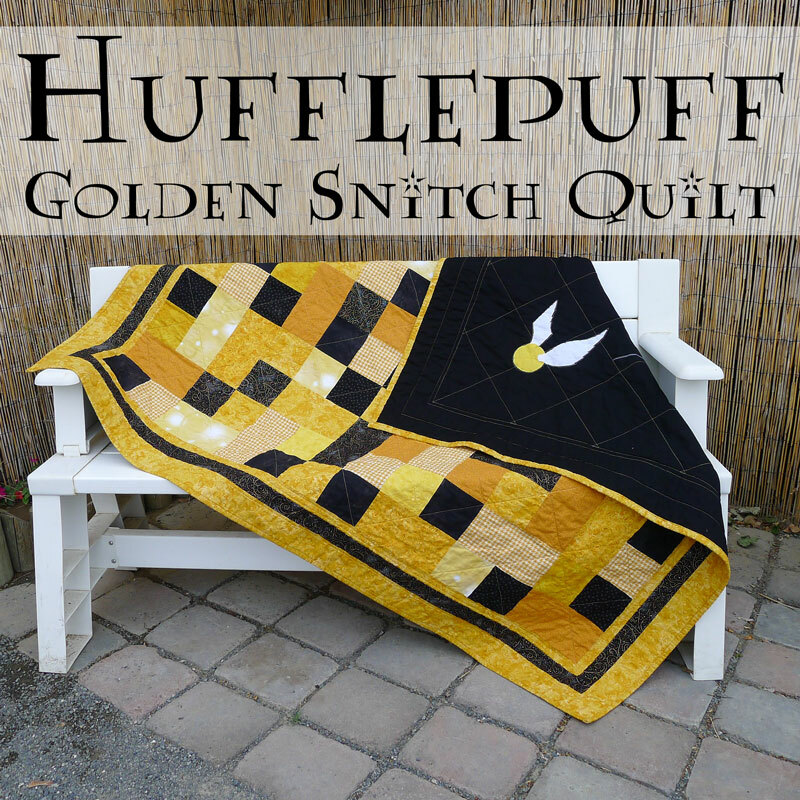 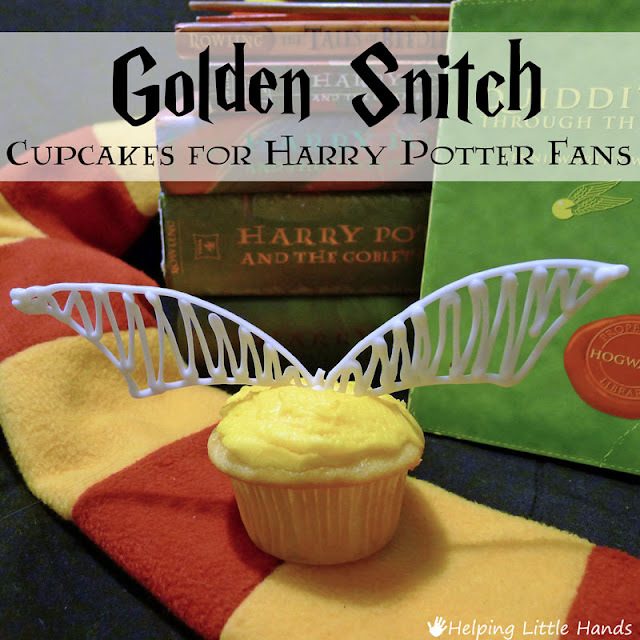 Or perhaps a tiny golden snitch flies about for Harry to catch. 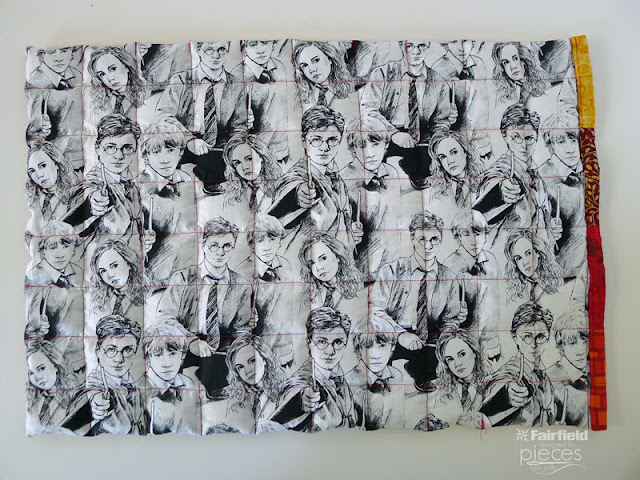 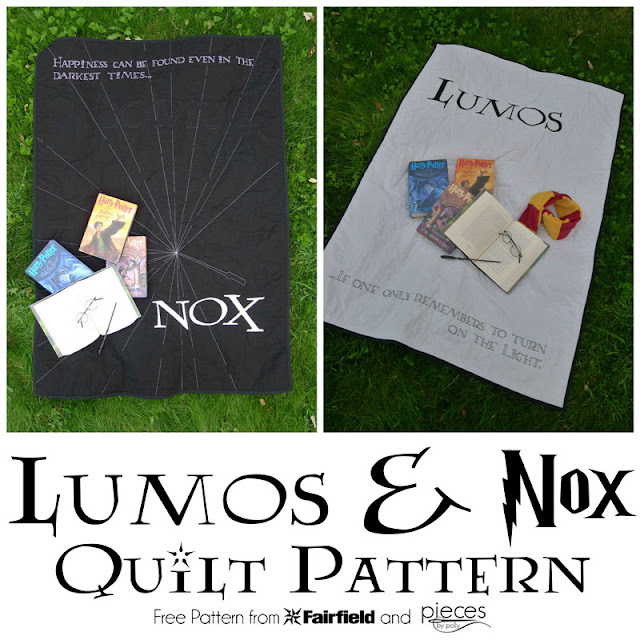 (Joanns currently has several Harry Potter licensed fabrics...but I don't care much for most of them...but I LOVE a good black and white print in any theme and I love this fabric with sketches of Harry, Ron, and Hermione...so I may have gone ahead and bought the whole bolt. 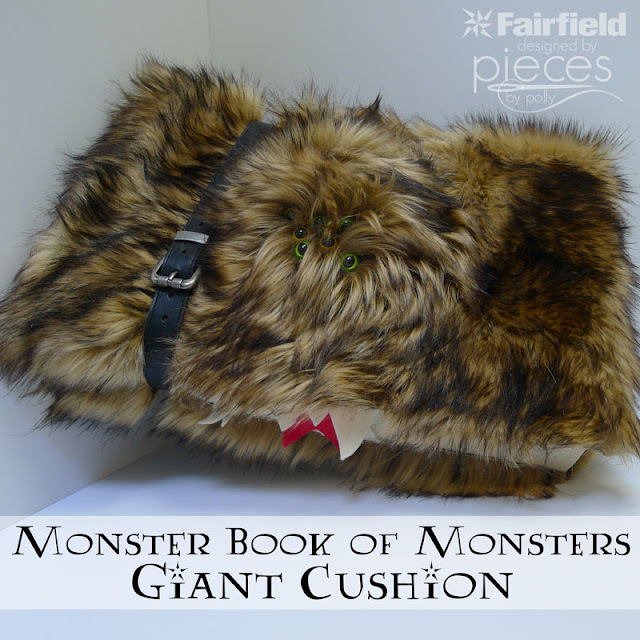 And it will fit well on her lap while she's sitting at her desk, without being too noticeable. 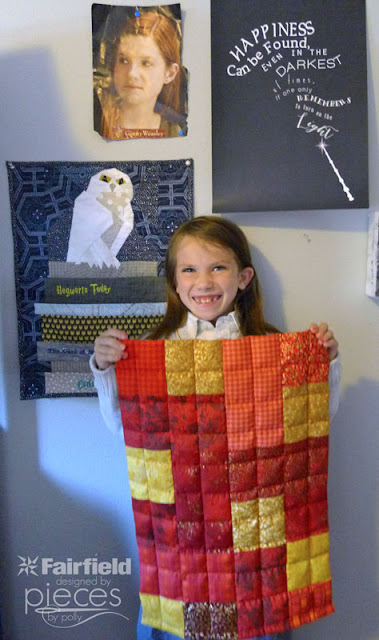 But since as much as we all love Harry Potter at our house...she does have other interests...so we made a second one as well...can you tell she loves orange and Paris? 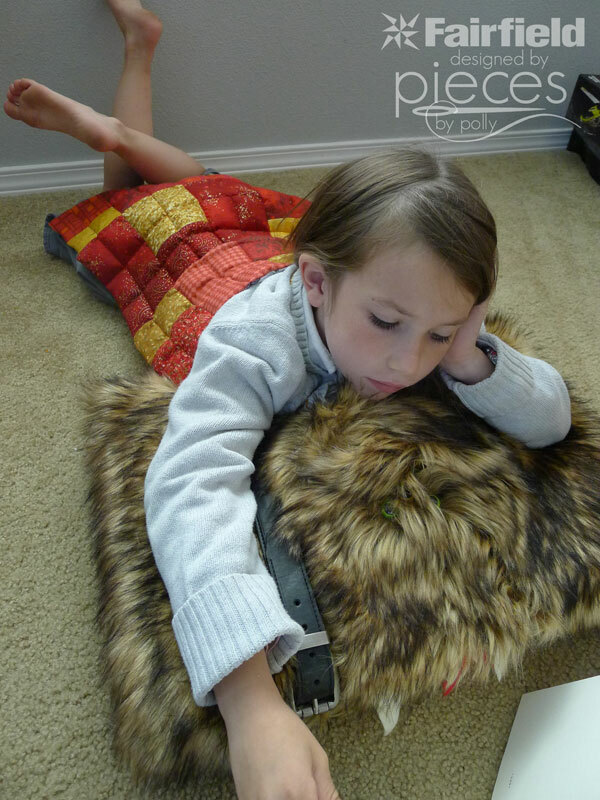 I'm sharing the full tutorial for how to make your own DIY Weighted Lap Pad here on the Fairfield World site.